Boss Outfitting offers you the hunting adventure of a lifetime. 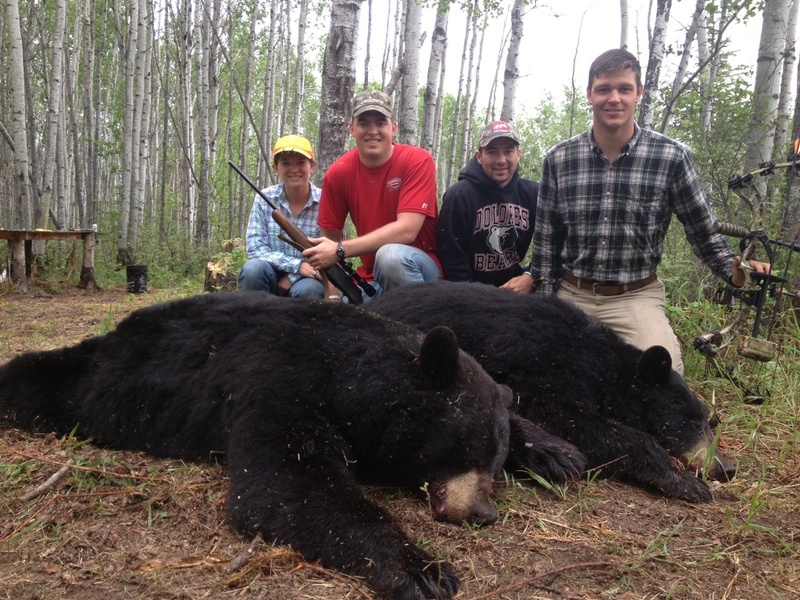 Join us on our trophy black bear hunts, Canada moose hunts, whitetail deer hunts, wolf hunts, bison hunts for a hunting trip you won't forget. Help us run our traplines for an exciting adventure where we travel a traditional trap line, setting traps and collecting harvested fur bearing animals such as lynx, marten, fisher, wolf, and wolverine.I am the owner and outfitter of Boss Outfitting and I will be personally guiding many of the hunts. I support and practice ethical hunting and I am a member of the Alberta Professional Outfitter's Society, Alberta Trapper's Association, and Edmonton Fish and Game. I am an avid hunter with proficiency in bow and rifle and hold a license as a Hunter Education Instructor. Being an outdoorsman is my passion and my way of life. I am committed to providing you a hunting experience you'll always remember.